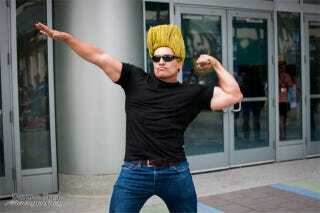 Johnny Bravo was at Wondercon? Johnny Bravo was at Wondercon? Bummed I wasn't there. Cosplay by metalslimer, photo by Davann Srey.